Gloria Porcella was born and raised in Rome, studied at San Diego State University and has since devoted her life to art. She has served as a Councilor for the city of Rome where she was responsible for the Cultural Commission, was Head of the Culture Center in Rome and worked with Italy’s Environmental Minister. Over the years, Gloria has curated a great many exhibitions including a tribute to Pope John Paul II celebrating the 25th anniversary of his papacy with the Madonna in Contemporary Art at the European Parliament in Brussels and the Pantheon in Rome. She is the curator in Europe for the art of Giorgio de Chirico and for American artist Seward Johnson. With her business partner Lamberto Petrecca, and the help of Architect Silvia Zamarion Gloria has curated important exhibitions in Italy and in the United States, including “Omaggio a de Chirico” in New York, Los Angeles and Miami, which had sponsorship of the UN and patronage of Italian and foreign Institutions; and the sensational first installation of the REgeneration Art Project in Syracuse, Italy during the G8 Environmental Summit. Gloria leads Galleria Ca’ d’Oro, one of Rome’s best known contemporary art galleries, located in Via del Babuino just a minute away from the Spanish Steps. It was established in 1970 by her father, Antonio Porcella, son of Amadore Porcella, one of the most important art critics of the period and grandson of Alpinolo Porcella, personal friend of great Italian Masters such as Filippo de Pisis and Giorgio de Chirico. Antonio Porcella is a current member of the de Chirico Foundation in Rome. In December 2010, during ArtBasel Miami, the Galleria Ca’ d’Oro Miami opened its doors at 135 San Lorenzo Avenue in Coral Gables with the placement of the unforgettable pink snails, extending the REgeneration Art Project to the United States. Today the gallery is located in Miami Ironside, at 7610 NE 4th Ct.Suite 109, where it continues to bring its experience and expertise to the US, promoting Italian and European art with passion and enthusiasm. 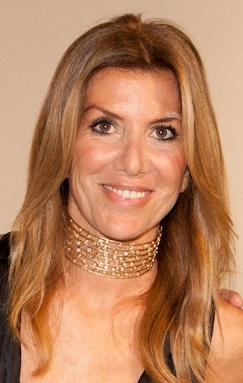 Gloria expanded the Gallery to include a New York location in September 2015 in Chelsea, New York City.